HAIR BOW: c/o Junkie Lovers Boutique Feeling a bit SILLY today, i'm in a really good mood for some reason! Haven't really done much except re-filming my room tour video (will do a blog post tomorrow) and took my poor little fluffy cat to the vets. I love this oversized sheer shirt from Glamorous, it's so cute to throw over anything, like leggings! Ugh I haven't worn leggings in FOREVER! This week i've been having a huge clearout of my wardrobe, and I mean HUGE! I'll be adding it all to my shop this week, at really reasonable prices because I just want it all gone, so make sure you keep checking there. Today I watched Leanne Woodfull's video on Body Image and Body Dysmorphic Disorder... it is really amazing, interesting and brought tears to my eyes in some parts. She goes on to talk about OCD, bullying, BDD, and I really felt I could relate to some parts (being so obsessed with a particular physical feature you hate so much, that it almost takes over your life), I don't want to go into it now as it's not something I like to talk about or bring attention to, but in the near future I shall begin to let you know what i'm talking about! I think Leanne is truly inspirational and absolutely beautiful! 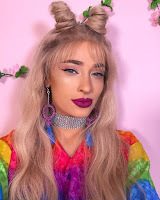 She is one of my favourite bloggers/YouTubers too, so make sure you go have a look at that video if you think it may interest you/relate to you... it's really helpful. Great outfit darling - loving the gold collar necklace too! I am so in love with that shirt! I want one!! love the nerdy glasses on you! I love everything in this outfit, especially the shoes! Leanne is a lovely girl - met her at fashion week and she is so sweet, spent all day with her!! Just found your blog! You are one of my new favorite bloggers! 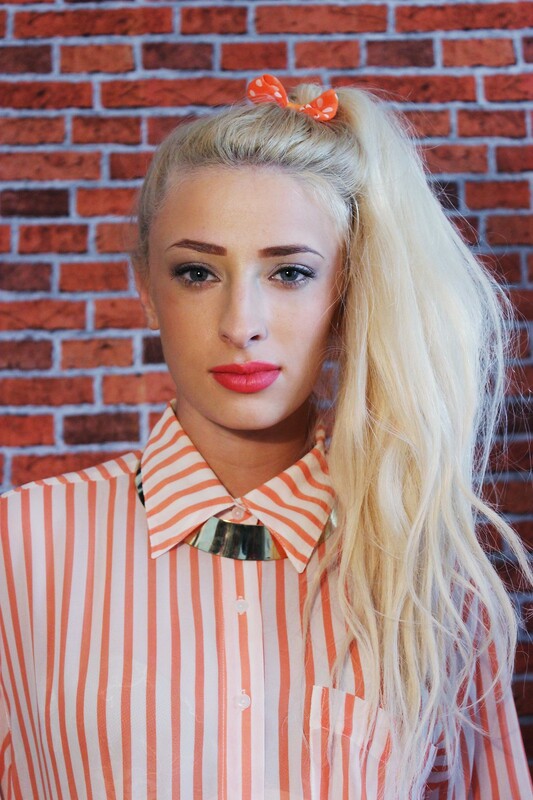 Love this Tangerine striped blouse and I watched your video on your room! So Inspiring! Another perfect outfit by lucy! love it! So cute! 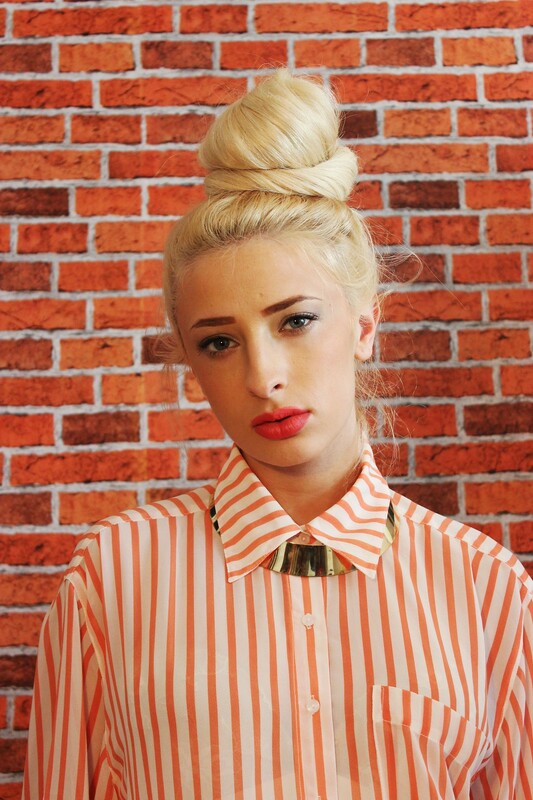 Love your shirt and hair bow. Such a nice outfit! Wish I owned those shoes! you in those glasses is so cute! 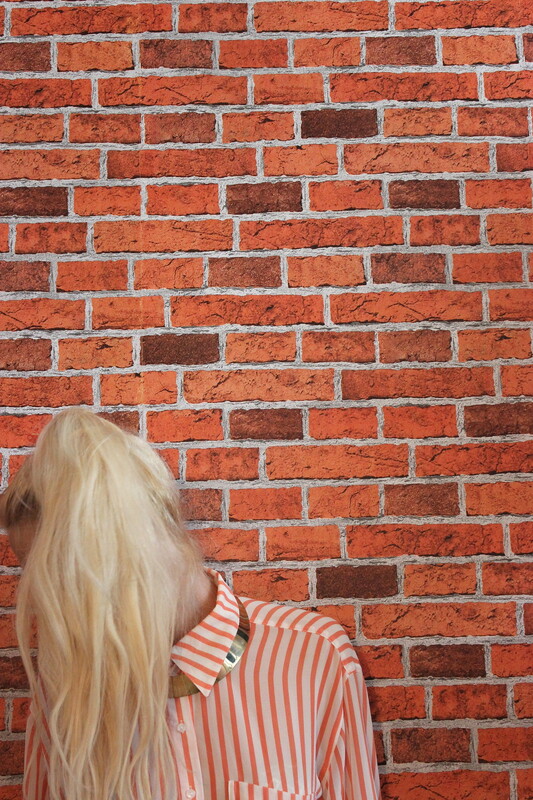 You look lovely, I love how you've matched the orange bow with the stripes in the shirt. I always look forward to your blog posts! I can't imagine that you would dislike anything about your appearance as you're so pretty, but then obviously we all have our hang ups that we obsess over no matter how many times people tell us there's nothing to be bothered about! gorgeous outfit. I love this glamorous shirt! Cute outfit! You're adorable and if that room is anywhere in your house, I'm jealous. loving your hair up and :( I wanted those loafers jel. Such a cute outfit! I love that little bow in your hair! Aaah I'm loving your style.. definitely following! TOTALLY loveee your stylee!! Following u! !